Simplicity is the key to grabbing customer attention, but in the quest for simplicity don’t forget to pair it with curiosity in marketing campaigns. The how we grab their attention is best accomplished by engaging the customer’s natural curiosity. Think of Who, What, Where and Why as you create a rough draft to move forward, and remember that all these standard questions posses the power of igniting someone’s curiosity. So often we see small businesses and marketers create campaigns and events with nothing more than a product listing, a price and a date. For a limited Time Buy XYZ for 9.95 – Available This Friday May 12th blah blah blah blah!!!!! Really? Can a campaign be any more disrespectful of the customer than that? And if the business is paying a marketer to create such a campaign they are throwing away huge ROI, throwing away goodwill and throwing away mindshare. You have to ask, What Were They Thinking? 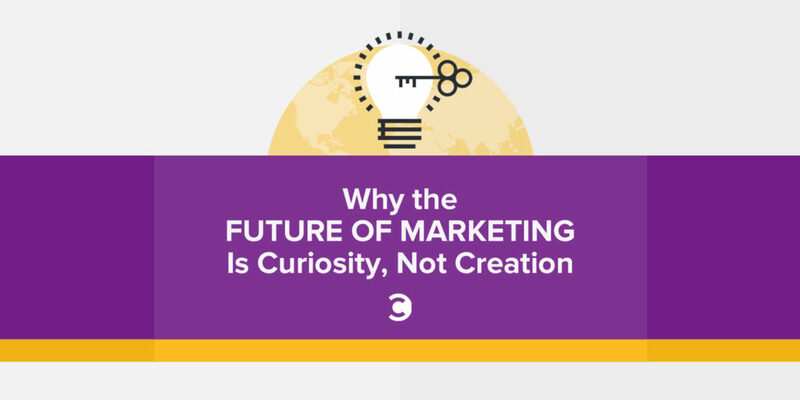 Actively creating opportunities for Curiosity In Marketing is a challenge that requiring effort, but it’s effort that creates opportunities to showcase the Why and How You are Different (if you are) from your competitors. Curiosity is the bait on the hook and it’s that hook that will catch the fabled mindshare, it’s the bait best used to attract each small businesses fabled white-whale (customer). I can’t begin to (or won’t) get into the head of small business owners to see why they allow their marketing campaigns to be so derivative, to be so boring and irrelevant to the conversation. And while it’s easier for me to grasp why so many marketers refuse to stir the bitter cocktail they serve to their clients HINT: (Fear & Laziness) ultimately the client is responsible for accepting the drivel served up in that cocktail. 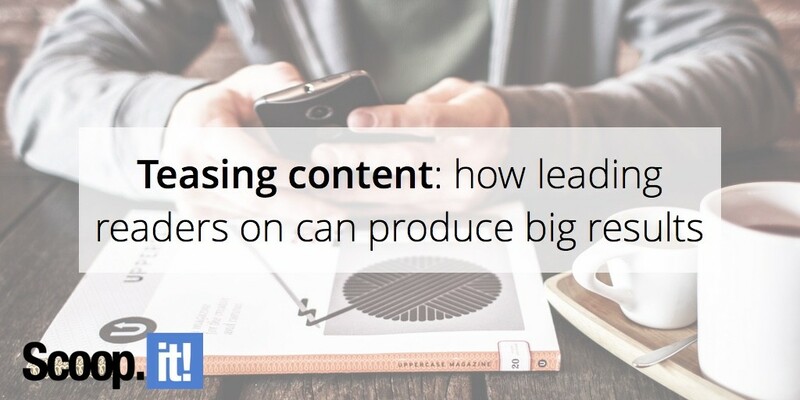 Since the beginning, marketing has required a balance between analysis and execution. Especially in digital marketing, the cycle of analyze > optimize > execute > repeat is the nucleus of all successful initiatives. But the age of cognitive marketing has begun, and robot assistants will handle more and more of the creation duties that used to belong to human marketers. IBM (a Convince & Convert partner) is the forward guard of this movement, with their Watson Marketing suite of tools and APIs powering an increasing number of real-time analysis and optimization opportunities. The IBM Think Marketing portal, for example, uses the Watson CMS to automatically serve up a different mix of content based on what you’ve read in the past. This past weekend gave us another glimpse of marketing’s future, at The Masters golf tournament. IBM is a long-time sponsor of the storied event and provides all the technology for the tournament, using it as a product showcase. This year, for the first time, IBM used Watson’s cognitive capabilities to automatically determine which video clips should appear on the official Masters website and mobile app. Based on real-time signals such as loudness of crowd reaction and announcers’ use of superlatives in their commentary (the shot was “terrific” or “spectacular,” etc. ), Watson instantly identifies a snippet of video as a highlight, tags it, and pushes it live in seconds, including to Twitter. “Psychology is the driving force behind conversion optimization. How people anticipate things powerfully shapes how they will interact with your landing page or conversion funnel,” Patel says. “The greater your grasp on the psychology of anticipation, the better you will be able to create a killer landing page [or other content] that ushers in higher conversions.